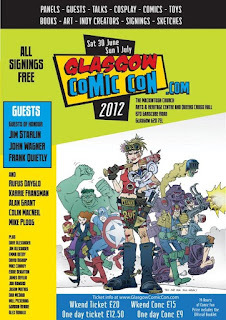 I've written a report on last weekend's Glasgow Comic Con over at Down the Tubes. Have a look here. I was especially pleased to have a wee chat with Jim Starlin while he sketched Adam Warlock for me. That's always been a favourite series of mine from the 1970s.